Our trip to Swaziland wasn’t in search of real gold, but the metaphorical gold of adventure. 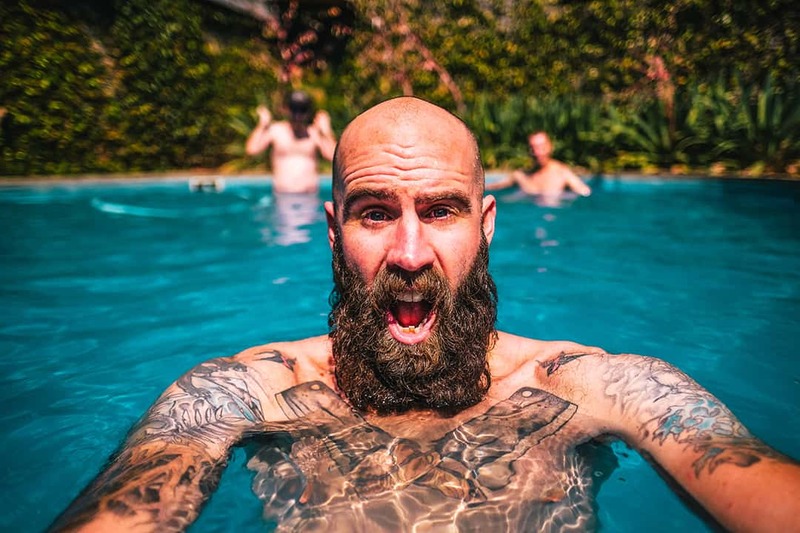 Over the past few years we’ve explored a substantial amount of South Africa. 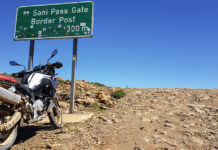 The wonders of Mpumulanga, deserts of the Klein Karoo, coastlines of the scenic Garden Route, the concrete jungle of Johannesburg, and of course, the beautiful scenic drives of our mother city, Cape Town. Although we’ve covered quite a bit of ground there’s an always insatiable desire for us to seek more and explore Southern Africa and the world around us. 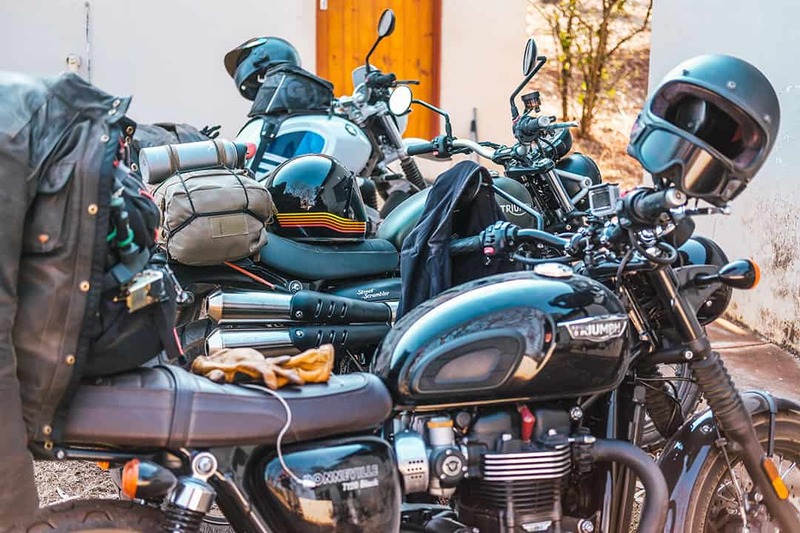 This is how three adventure seekers end up in Swaziland with nothing but the clothes on their backs and some cameras to capture it all. The plan was pretty straightforward. 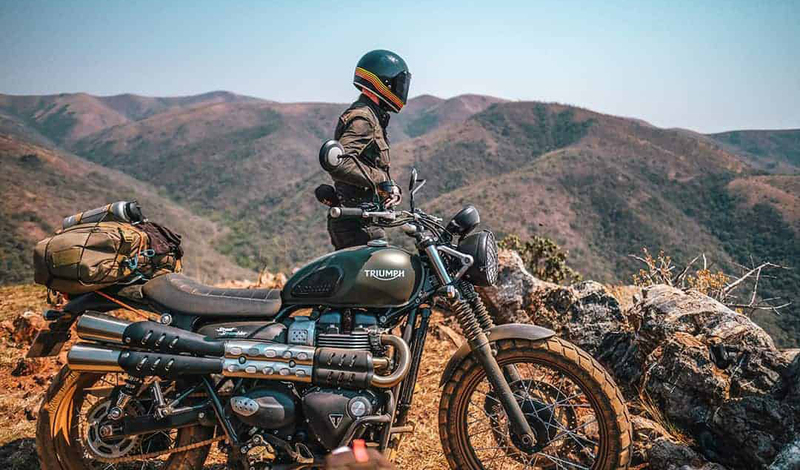 Map out a route, find accommodation along the way that met our needs and see if it was an adventure we could replicate for a larger group of people. 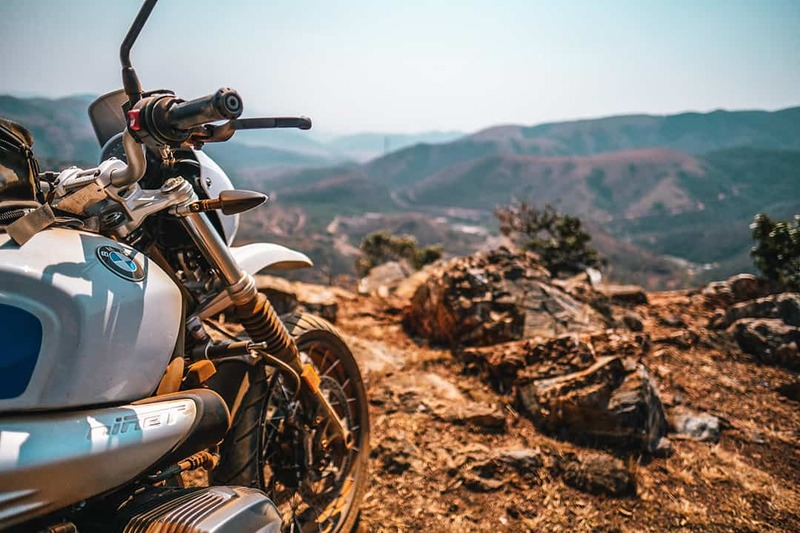 Spoiler alert: The Bonafide Moto Co. Swaziland Adventure is happening in 2018! The three of us (Alan Shenton, Richard “Uncle Rich” Harper, and myself, Joe Fleming) met at Bonafide Barbers in Johannesburg on a Thursday morning for some coffee. 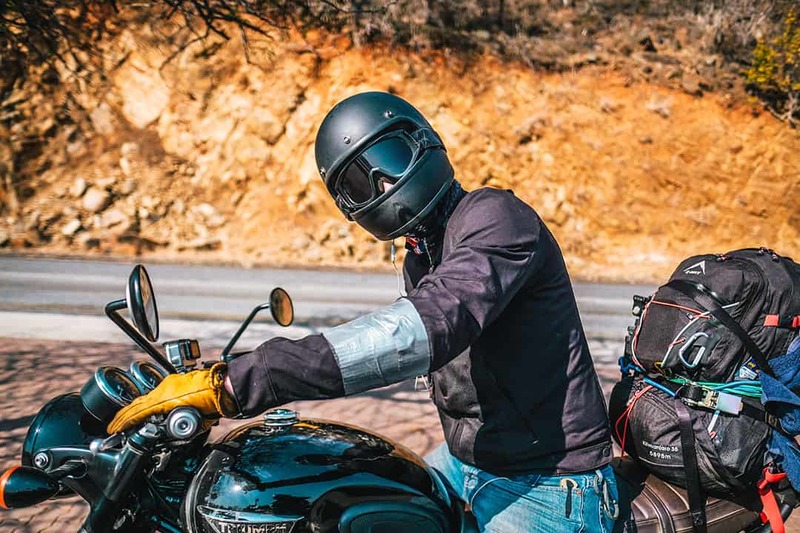 The motorcycles we embarked on were Alan’s new Triumph Street Scrambler, Uncle Rich’s Triumph Bonneville T120 and I was testing out the new BMW Urban G/S. We left Johannesburg by 9 a.m. and set off for Uncle Rich’s uncle’s (more about that later) house in Barberton for the first night, about 360 kilometers outside of Johannesburg. The roads getting out of Johannesburg aren’t all that glamorous for the first few hours as they’re just wide open highways. Once you’re past that, you turn off the highway for your first taste of the back roads and you begin to embrace the silence. 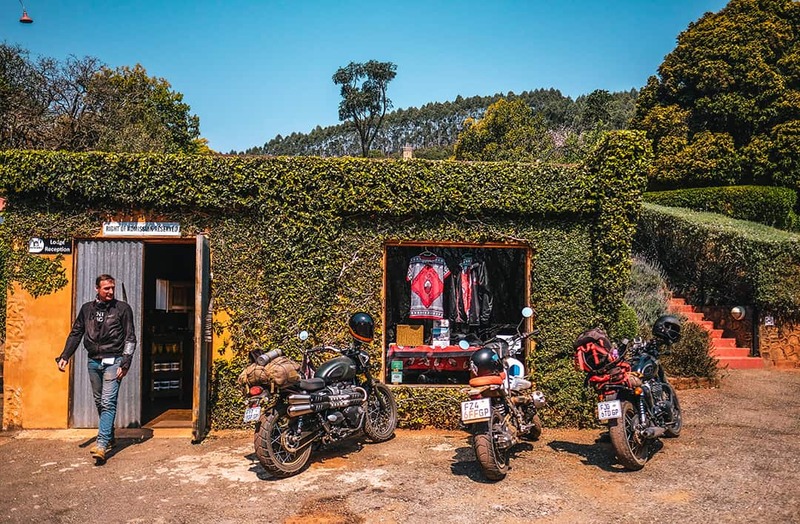 Our only major stop that day was for lunch in an old gold mining town known as Kaapsehoop. It’s a quirky little place that sits on top of a mountain surrounded by beautiful cliffs. The town is synonymous with the wild horses that roam freely through the town. 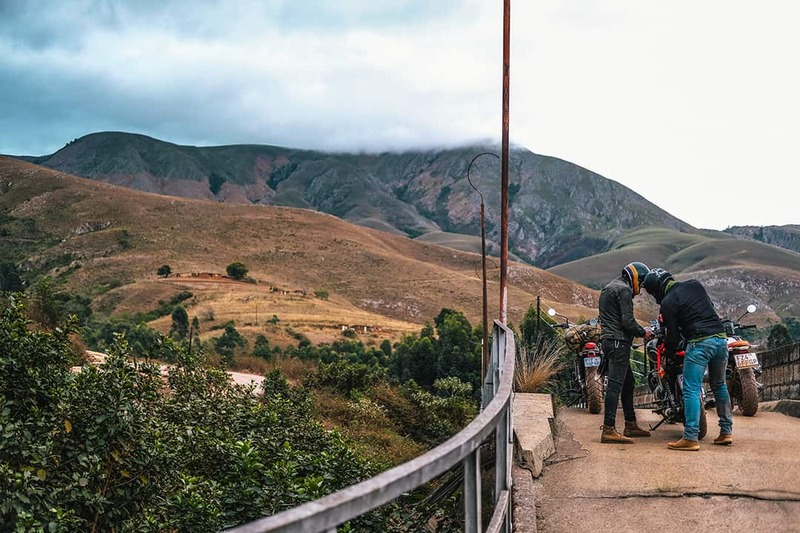 From Kaapsehoop, we veered off the tar and took our first dirt road the majority of the way to our destination in Barberton. We arrived at Uncle Rich’s uncle’s house (let’s just call him Uncle Mike) just in time to get settled in, drive into town for some beers, and hike up the hill to catch the last rays of the sun. Uncle Mike has a beautiful property where he breeds nyala (a spiral-horned Antelope native to the region.) 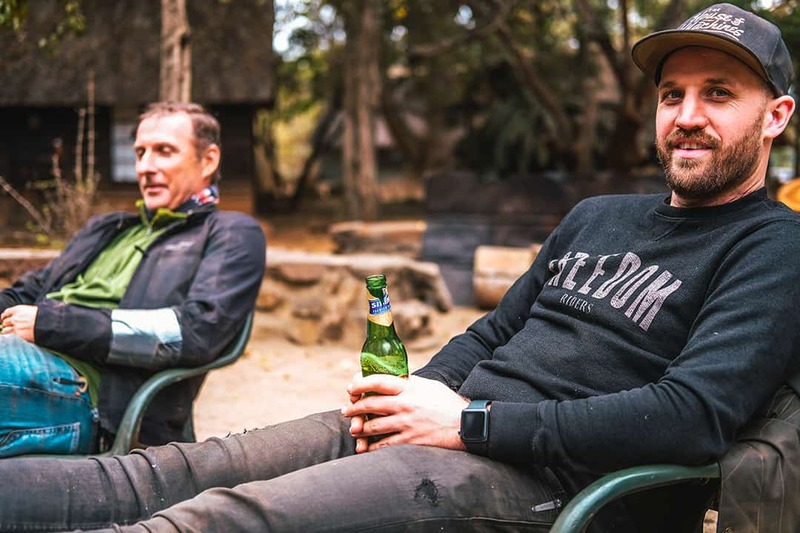 That night we sat around the campfire, indulging in too much Wild Turkey whilst Al cooked up some boerewors rolls (local sausage, synonymous with a South African braai) and we shared some stories and laughs. 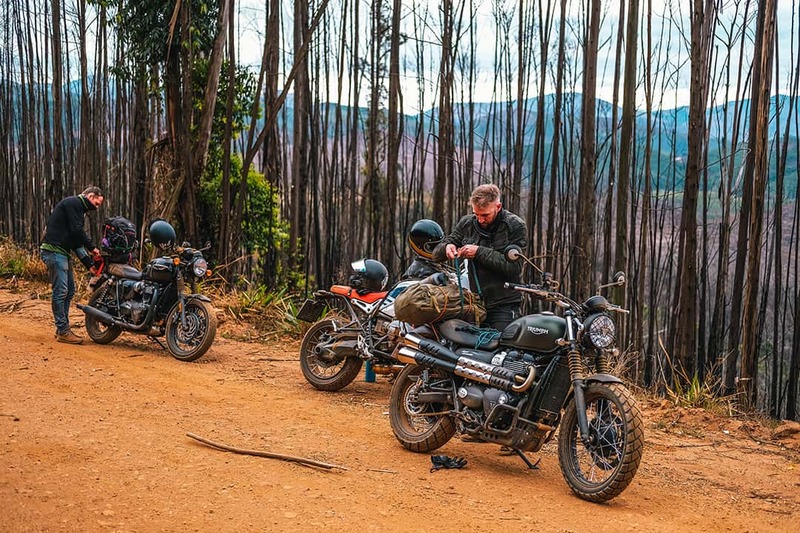 Alan managed to spot a long dirt road that was just before the border leading to Shiyalongubodam. We were keen! So we made our way up the twisty roads leading to the border and were pleasantly surprised—it ended up being one of favourites in the region. We found the dirt road fairly easily and at first sight, it seemed manageable. The road started off winding its way through what felt like a jungle. That changed within 15 minutes and for the next hour, we found ourselves in full sun making our way through long dusty and bumpy roads. In total, the road to the dam was only about 40 kilometers, however, I’ll be honest, it wasn’t the easiest we’ve done. Eventually, we made it to the Shiyalongubodam where we parked and found the first spot we could to take a breather. The water was nice and calm, and we took a break under the trees. From that point, we had a choice to either turn around and go back on the long dirt road we came from to the border, or continue another 10-20 kilometers on the dirt road that would lead us back to a tar road to Barberton, where we would retrace our steps back to the border. Considering that beautiful tarred road, we opted for option two. Once we passed the damn turnoff again, the tar road leading to the border seemed to turn quite majestic. 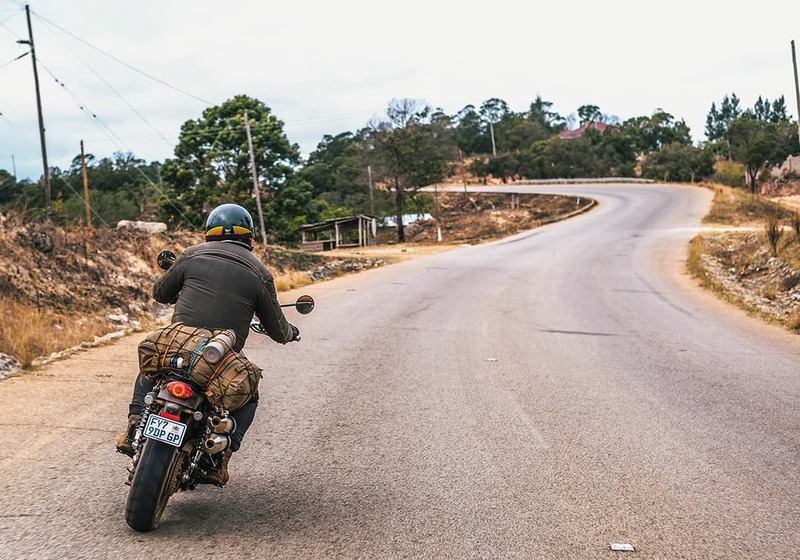 It snaked its way up to the Swazi Kingdom, and we were honestly the only people on the road to enjoy it. After speaking to some locals, it turns out it’s the oldest geological trail in the world. With every corner, a new lookout point presented itself with some information about the rocks in the region. We moved on swiftly. We arrived at the small border post manned by three people. One guy at the ticket office to check your passport, one guy manning the boom pole, and another taking your ticket. Not your typical African border post scene. From the Swaziland border post our accommodation was a short ride to the small town of Bulembu. The town had a strange sensation to it, almost ghostlike. Probably due to the abandoned gold mines, since the industry was almost entirely replaced by forestry. Our accommodation that night was amazing, a large four-bedroom house with a front porch, yard and a three-car garage that came with a fresh pile of cow dung. Nice job, Alan. We’re always up for a challenge and we were thirsty so we set out for the dirt road. We realised quickly how right she was. 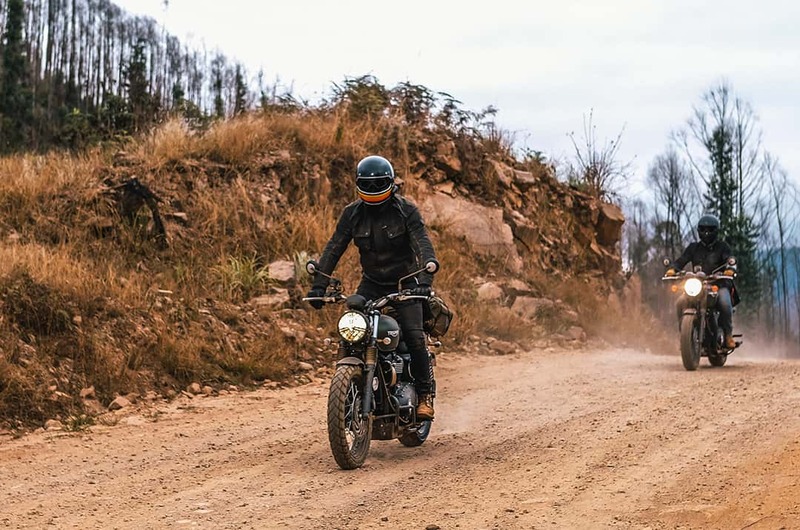 This road was destroyed by trucks and riddled with random rocks all over the place; we really had to stay alert and pick the right lines with every twist of the throttle. The road was covered in a fine powder of dust, and eventually so were we. We made it to the next town where we pulled into the only restaurant we could see that seemed to be a legitimate option. On a good day, it would be average at best. We at least got something hot to eat and head back on the dirt road before it got dark. 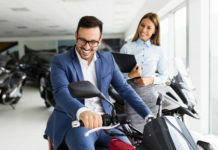 The ride home seemed much easier, either because we knew what to expect, or it had experienced less traffic in that direction, but we all had an enjoyable experience. The rest of the night we sat outside around the table, went to dinner, cleaned up our gear, and talked about our full day before we all tapped out nice and early. Nothing but Swaziland on this day. The three of us all wake up pretty early so it’s helpful that there’s no one going against that grain. Our bags were packed fairly early, we made our way to breakfast and got the bikes loaded up quickly so we could take on the dirt road again. Just like the way home the night before, the dirt road seemed quite manageable now that we knew what to expect from it. This was another day of a short distance to travel. Bulembu to Mbabane was only 83 kilometers so we didn’t have very far to go, but plenty to see along the way. We stopped at a restaurant at the Komati Damn, which stores an enormous body of water and generates hydroelectricity for the Swazi people. We had a couple instant coffees from the restaurant and a long chat with the manager who was very curious as to what exactly we were doing there. 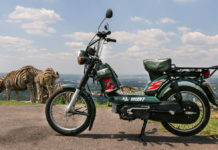 I suppose riding motorcycles for pure leisure and not transport is unusual in the region. He was a very interesting fella. After an hour or so there, we set out again on some beautiful twisties through the mountains where the temperature began to drop. The previous days on the road were quite warm, but a cold front was coming through and we were starting to get a taste of it. 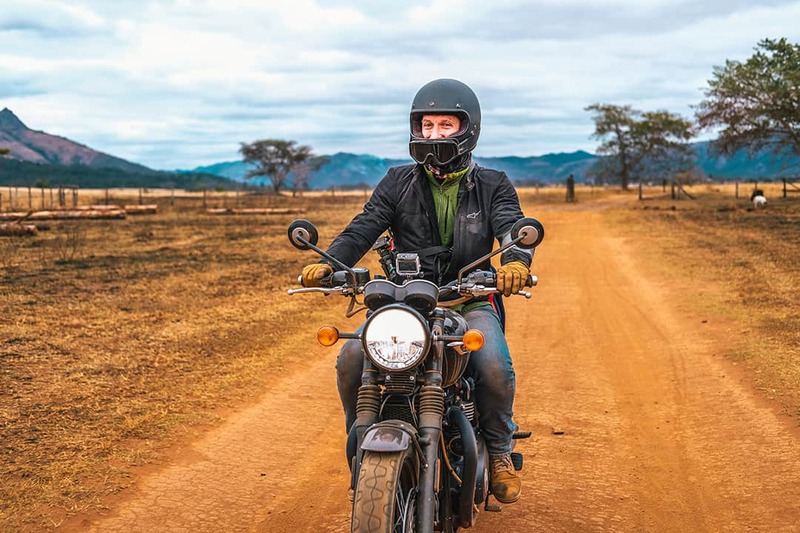 If you’ve never ridden through a country in Southern Africa, it’s an absolute must. The tar roads are generally well maintained, and the topography bestowed upon us the most beautiful twisties and scenery. Our final destination that day was a wildlife sanctuary just outside of Mbabane, the capital city of Swaziland. 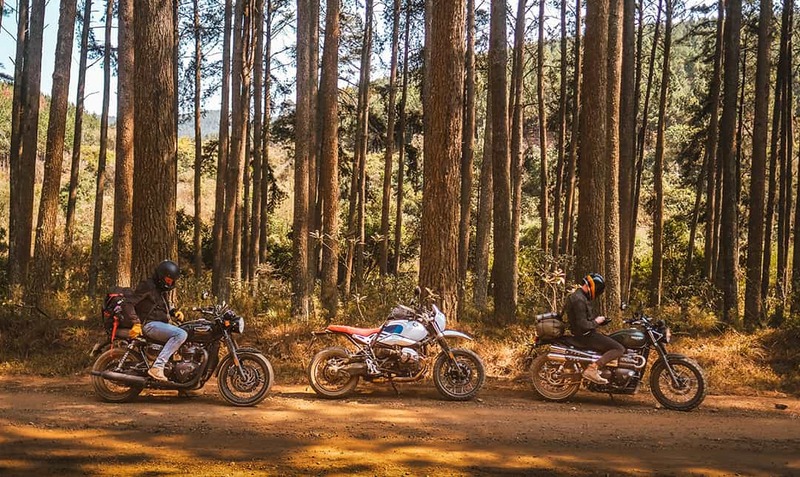 After the previous 2 days of riding through remote towns it was quite strange to be screaming through the highways of the city with a feeling like we were back in the hustle and bustle of Johannesburg. And of course, along with that came the traffic control. Uncle Rich was first to get caught and issued a speeding ticket, which took the attention off myself and Alan. The accommodation that Alan had booked for that evening was at Mlilwane Wildlife Sanctuary. This place very quickly turned into the highlight of the trip for me. After checking through security, we rode on a smooth dirt road leading through fields where animals freely roamed. The dirt road led to a patch of woods where there was what seemed like a small village, complete with cabins, huts, tents, horses, bicycles, guests walking around, fire pits and a massive restaurant under the trees that opened up to a small pond filled with wild birds flying about. The weather was looking ominous, with large storm clouds surrounding us, creating a moody atmosphere. We had arrived at the wildlife sanctuary well before noon and had no plans for the rest of the day. So we walked over to the restaurant, ordered some food and drinks from the bar and relaxed. Hearing a vast array of languages around the lunch tables is truly what makes Southern Africa so interesting and diverse. Once lunch was finished we left the restaurant and immediately noticed a huge fire pit with three massive logs that were slowly burning with chairs around it. We turned around, ordered some drinks from our waiter, and pulled up three chairs around the logs. We didn’t leave that spot for the rest of the day. Just before nightfall, the weather started to get quite cool, and we noticed there were a lot of general game roaming around the area. 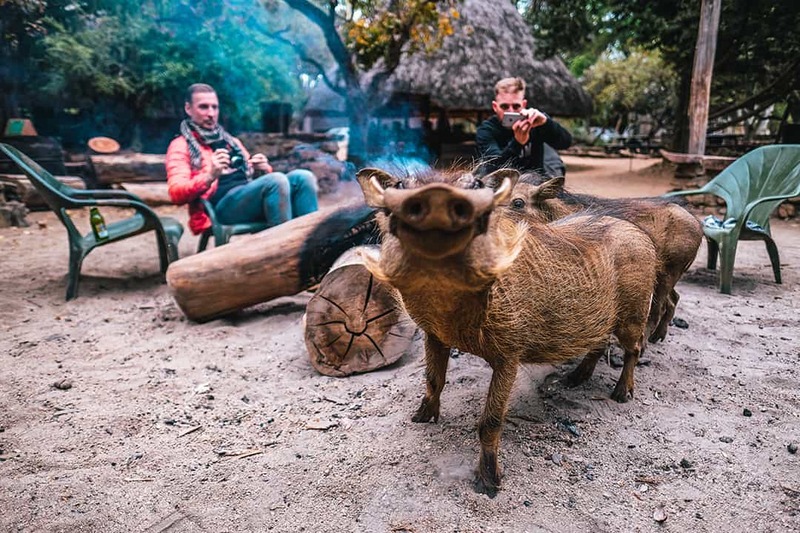 Slowly, a sounder of warthogs who were curious about our fire joined us. Turns out they’re regulars to that fire pit every day and enjoy the warmth of a large gum tree slowly smoking next to them in the pit. 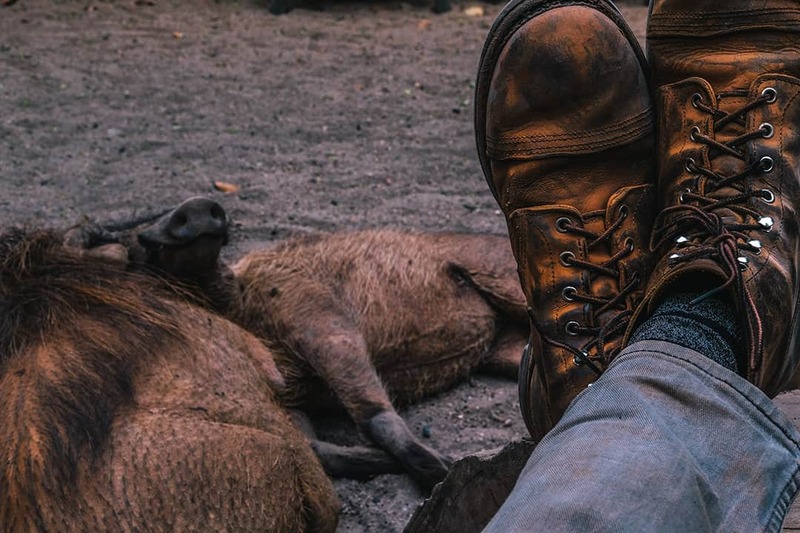 We sat there by the fire, the warthogs resting within arms reach of us. 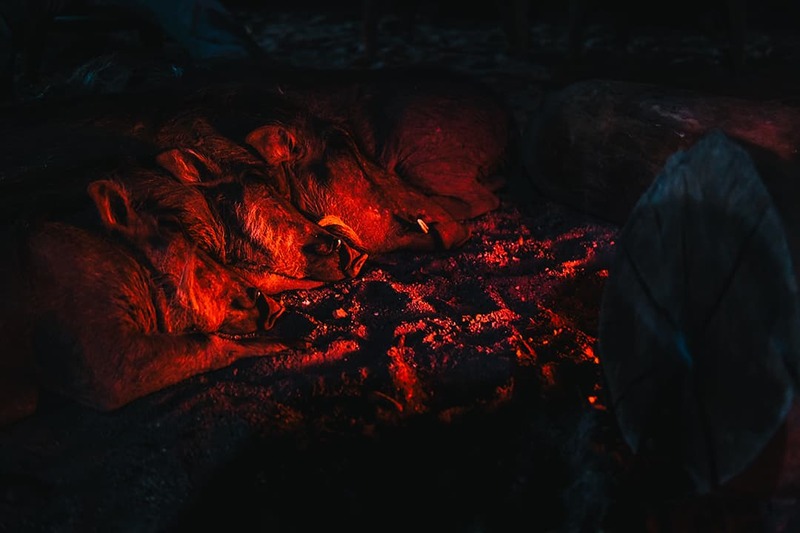 The funny thing was when people would head to dinner and walk by the fire they would barely even notice the warthogs lying so close. Eventually, they caught on and a crowd formed around the fire with more people amazed that these animals were so comfortable that close to humans. Dinner was served later that evening, a buffet cooked mainly over hot coals, and it was damn good. We might have just been the only locals there that evening as there were some large groups of American and European tourists. After dinner, we went back to the fire pit where we shared some more laughs and stories with our four-legged friends. There’s a lot to do at the sanctuary (game drives, bird watching, bicycle hire) yet we were quite comfortable right where we were. On our last night of the trip we were awoken to bellowing sounds of thunder in the distance which slowly made its way through to the sanctuary. The place we stayed that night was in a massive grass hut with four bedrooms. When the storms came, you felt like you were actually lying outside. It was great. Riding in the rain is one thing, but having to pack your bike and leave in the rain is not the most pleasant. Sometimes that’s just the way it goes. The weather on the route home remained ominous. We spent the first three hours cruising just under the speed limit in a constant, soft mist of rain. Our visors kept fogging up, our gloves were now soaked from wiping away the rain on the visor, but we were all cool. After 3 hours on the back roads, the weather started to clear before we made it to the highway and some food. We sat down for some lunch at a massive rest stop, caught up to some cell phone signal, and tucked our rain suits away one last time for the warm sunny ride back home to Johannesburg. 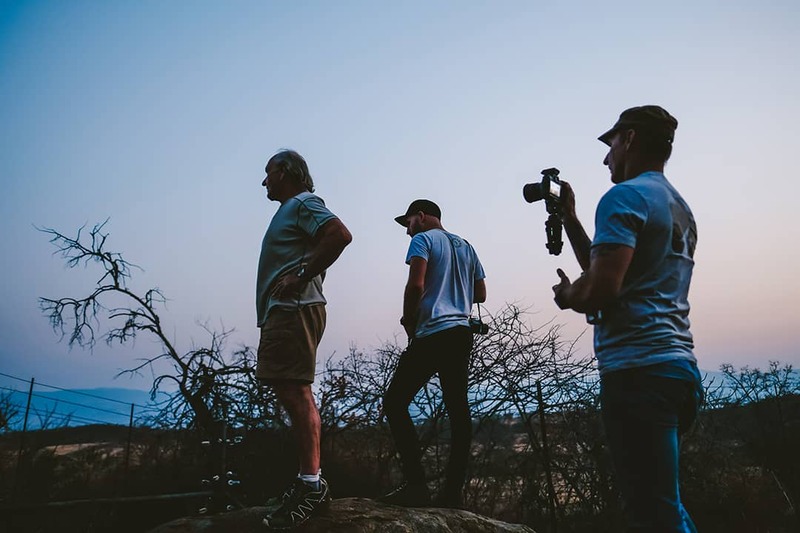 This Swaziland adventure left a warm spot in our hearts, and we know it’ll leave one with you when you make it this way. 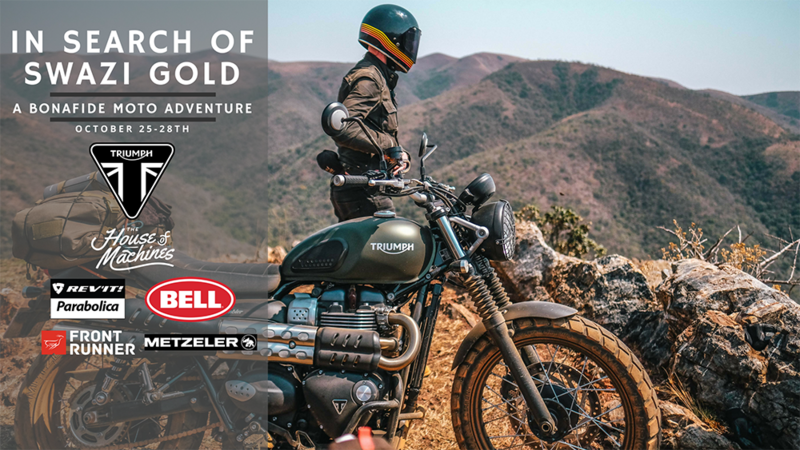 In September 2018 we’ll be offering this same adventure to those who might want to join us in search of the Swazi gold. 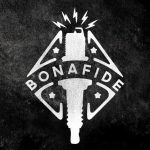 Are you ready for the next Bonafide Moto Co Adventure? 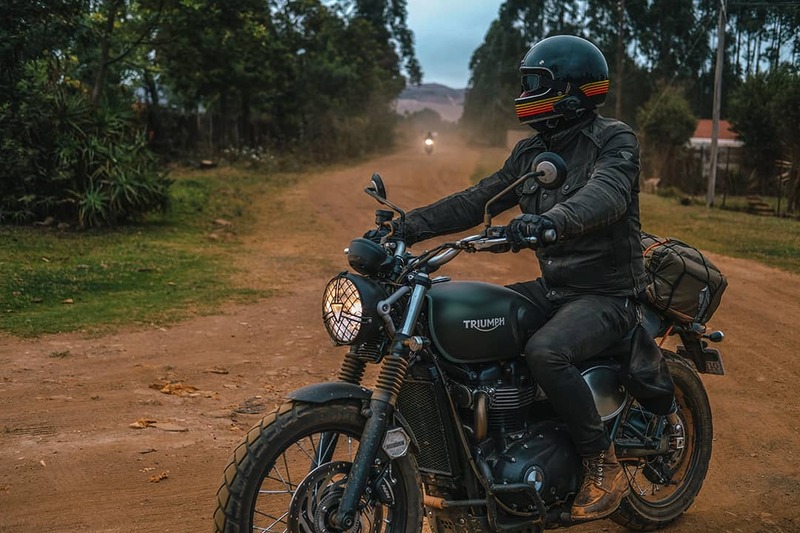 Our next big trip of the year takes you into the heart of Swaziland, where you’ll spend 3 nights (breakfast & dinner included) at some rad spots. 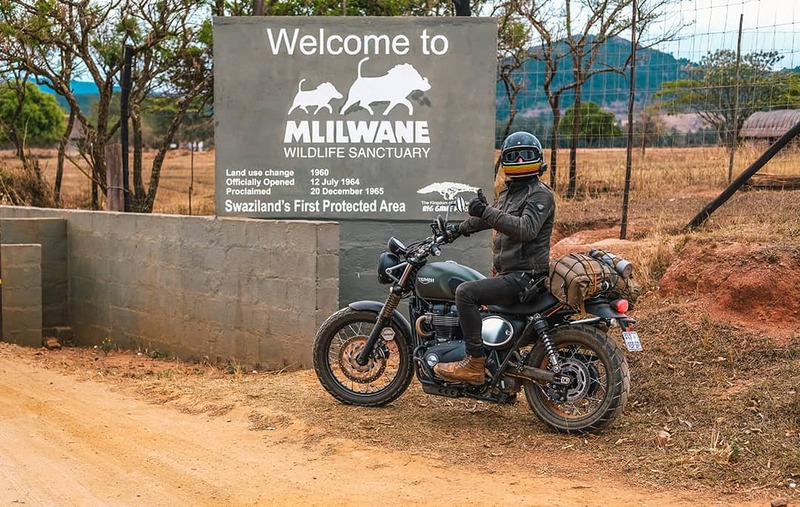 This trip will be a mix of both tar and dirt roads as exploring Swaziland sometimes is best done on dirt. Keen to join or want to hear more details about this next adventure? Send an Email to: [email protected] or you can go ahead and RSVP below. Next articleJHB to the Bay in the dirt – 15 years of raising funds for QASA. 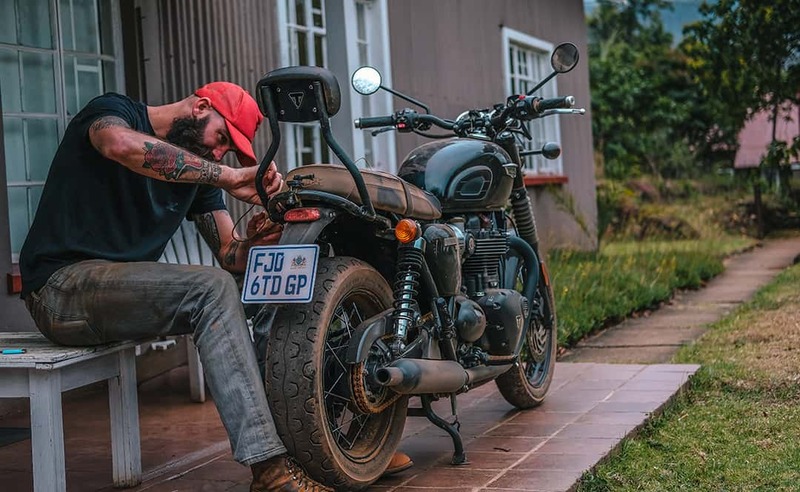 Bonafide Moto Co is a team of talented, influential content creators that specialize in moto lifestyle content...They're young, can travel the world and have a passion for all things heritage. 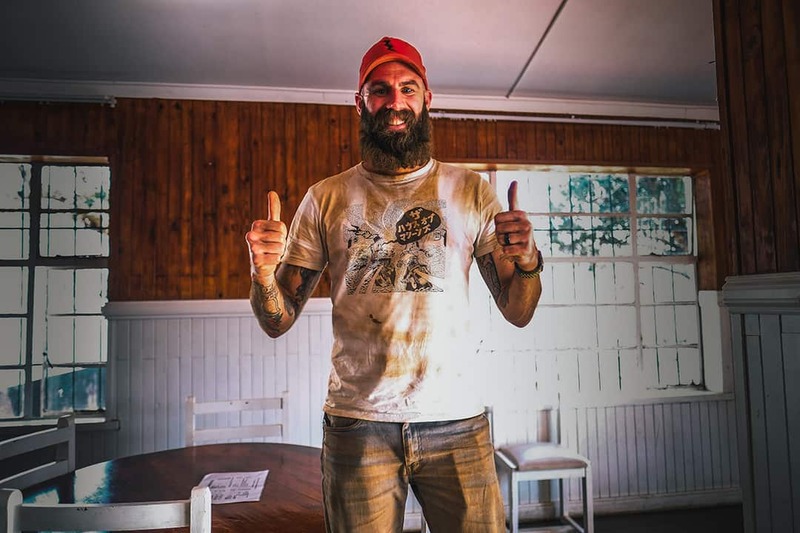 From creating the Bubble Run, to Movie Nights, to Taco Tuesday's and summiting Sani Pass, all while telling the stories of brands & fans alike on their journey to seek more adventure.